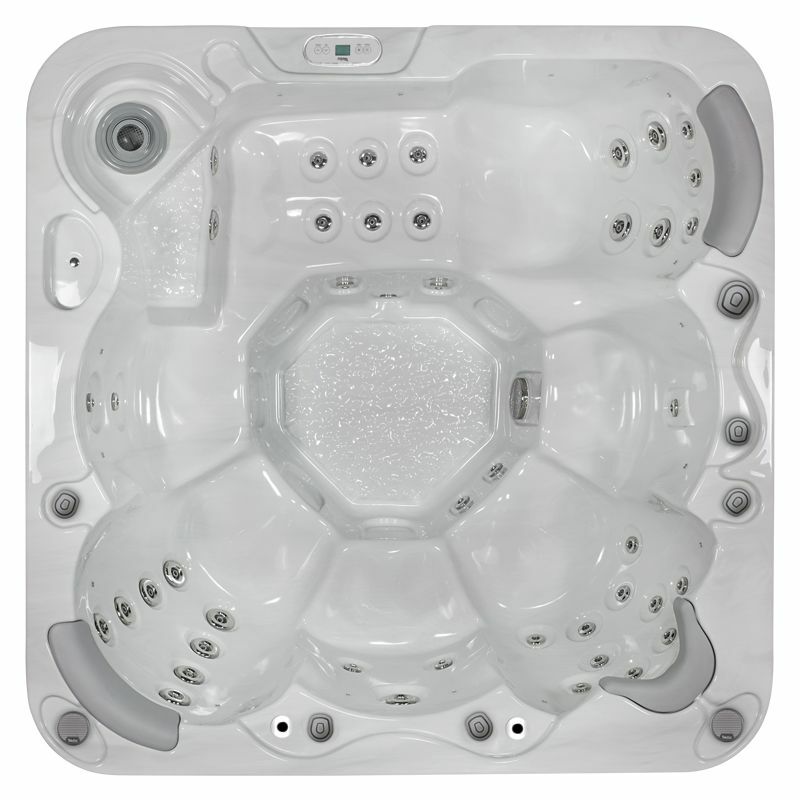 The Jupiter is designed to offer a medium to larger sized hot tub that can comfortably take six people and has five standard seats with an additional lounger seat. The Jupiter offers value for money and forms the most popular 6 person hot tub available from Bay Spas in the Wellis MyLine range, it is very competitively priced with a standard specification list that is packed. Built for fun and bubbles, the Jupiter hot tub has 46 jets powered by a 3HP double speed pump and comes with 3 headrests as standard. There is a built in audio system that also comes as standard and optional extras include a Smartphone app with a Wifi connection along with added insulation. The Jupiter comes in five different colours including the best selling pearl white that reflects the water beautifully from the 15 built in LED lights. As is standard throughout the Wellis range, purchase with confidence with warranties covering all aspects of your hot tub purchase and if you have any questions, please do not hesitate to contact Bay Spas.